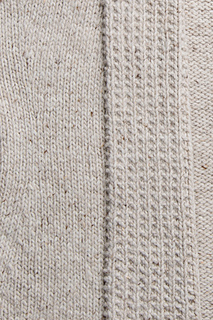 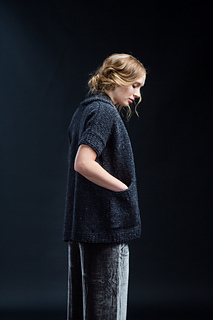 For insouciant style you can dress up or down, Freja is a quick knit with big impact. 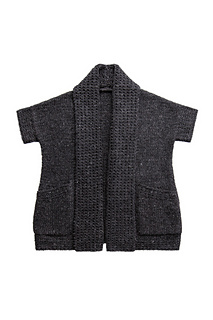 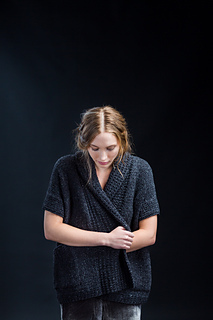 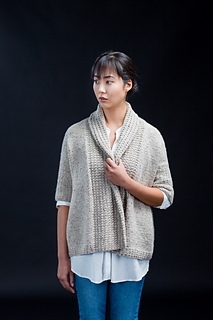 An open front with a swingy A-line shape and a textured shawl collar make this sculptural piece easy to throw on over any outfit, and in chunky Quarry it’s an ideal cozy overlayer. 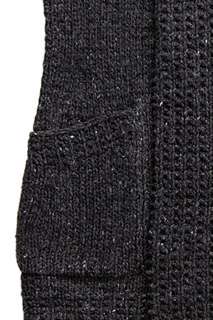 Add angled patch pockets for the perfect functional accent. 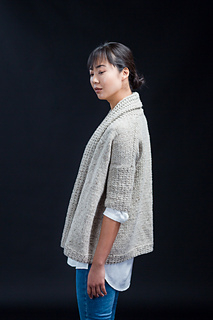 Note: Yarn amounts are sufficient to make garment with or without pockets and with armhole edgings in either length.